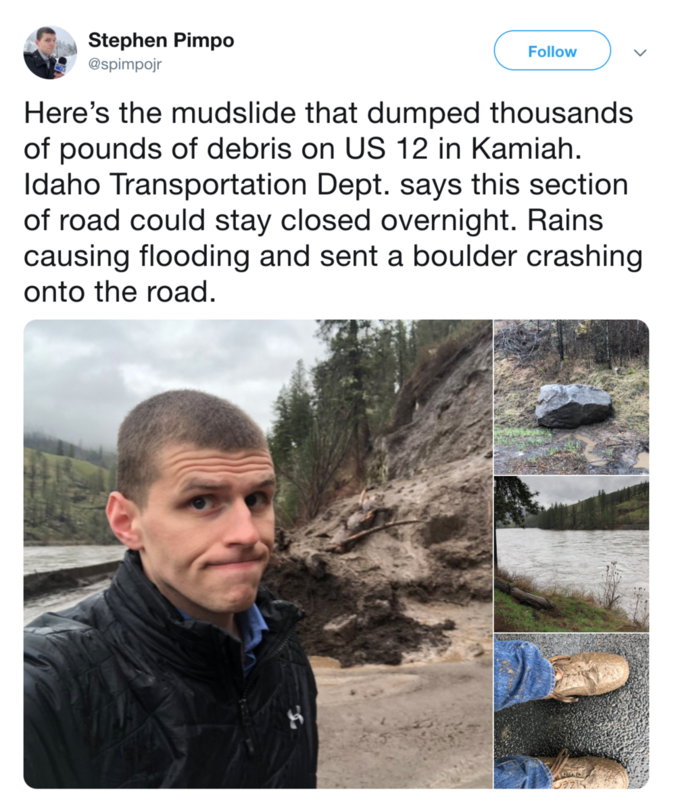 It seems there was a big mudslide that happened Lewiston, Idaho area. KLEW Reporter Stephen Pimpo thought it would make a good backdrop for a selfie. Also, he took a picture of his shoes, you know, because they got dirty while covering the story. The horror!